Discussion in 'iPhone and iPad Games' started by ojtitus, Oct 12, 2016. 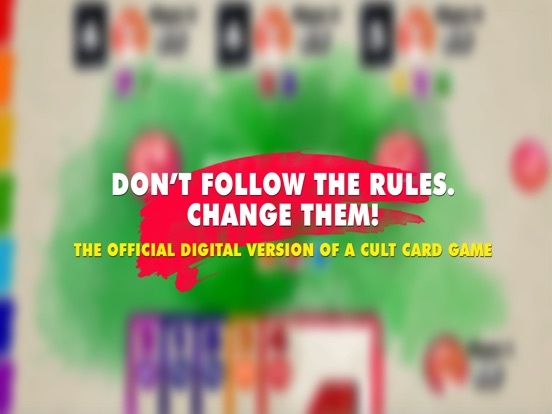 Red7: The Official Digital (mobile) Version of A Cult Card Game Don't follow the rules. Change them! In Red7, there are no second places. You're the best or you lose. You win your round or it's game over, but it's not a game of chance. If you can't meet the winning criteria, you can change the rules and force your opponents to obey it. 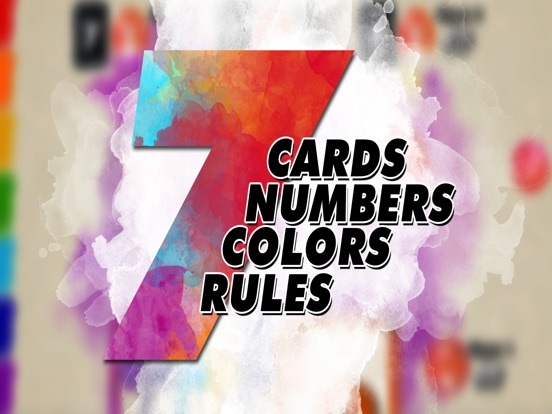 This simple twist makes Red7 as unpredictable and exciting as an action game, while preserving its deeply tactical essence. 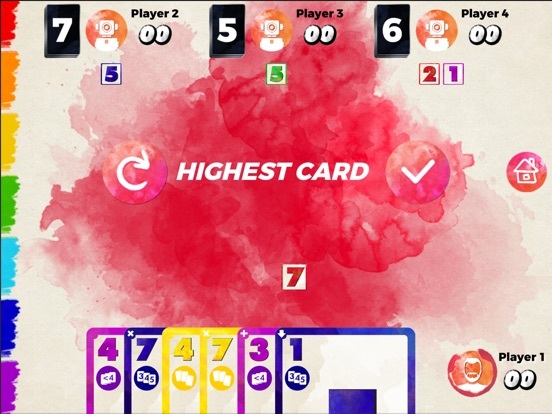 Features •	7 colors, 7 numbers, 7 rules, and infinite ways to play •	Three language versions: ENG, DE, PL •	Interactive tutorial •	Single player mode •	Multiplayer for 2-4 players •	Pass&Play mode – play with others using a single device •	Easy invites for your friends Red7 card game has been nominated for GOLDEN GEEK AWARD 2014 in following categories: •	Best Card Game •	Best Family Game •	Best Party Game •	Most Innovative Game Challenge Your Mind Download Red7 on your device. Red7's website: www.red7rules.com Red7 uses analytics services to gather information about the app's usage. No private information is gathered in this way. Curious about how does it play in pass & play. It's there hidden information between the players? I'm surprised this hasn't had any impressions..? I can tell you I've had 5 crashes in like 20 minutes. Waiting for a patch now. The game (ruleset) itself does seem interesting. Especially the advanced variant with special abilities. - why is the 'please throw the game' button so prominent... right in the middle of the screen? This seems odd and has caused a few thrown game. I can't fathom why it should be so prominent. 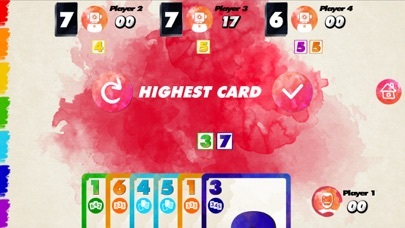 - the card gestures are improved, but when you want to review what a card's rule is, you tap on the card. When you do this and let go, that card moves to the far right of the hand. This is pretty annoying when you are learning the game and is poor that every time you touch press a card (but don't move it) it will always move to the far right. - app crashes after being put into background. 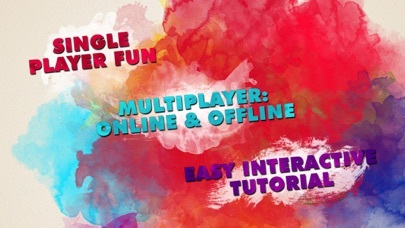 So overall a bit underwhelmed, but if some UI improved and multiplayer is good, I'll stick with it. - either I'm getting the rules wrong or it's buggy. If I can play 2 cards on a turn (1 to change rules, one to my palette) - I should be able on my first go, (when second in turn order and with opponent having a yellow7 and purple2) to change the rules to 'same number' and play a blue7 (this would mean I have 2 7's, blue and green), but it won't allow me to play the card. 2 of any colour / number should beat 1!? Found this from BGG. Looks interesting. the AI really needs more speed, sometimes (most of then) the AI takes too much time to make decisions. Wow! That was a fast sale! Thanks for extending the sale...I'm looking forward to giving it a go! I founded another little bug. When i play the mode "with actions", i put any color card number 3, the UNDO button dont show in the screen, only RESIGN. 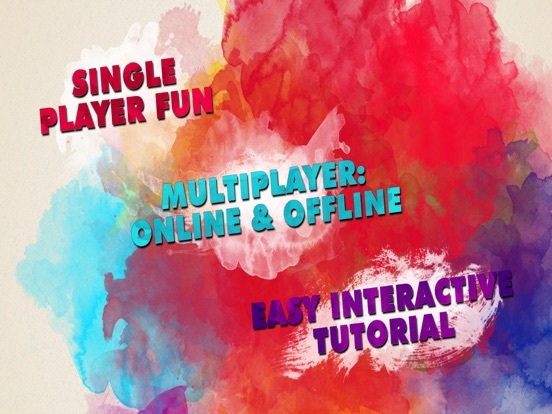 I always play with the 3 modes avaliable ("advanced", "with points", and "with actions"), but in any combination of 3 modes, when i play with action, i put the "3" card in the pallete,,, the undo button dont appear...can you guys fixe this?thanxs in advance.